The emergence of evodevo was driven by new experimental methods, but new concepts, models, perspectives and epistemic goals also played a crucial role. In this symposium we focus on the theoretical foundations and methods in the field, including both conceptual and modeling approaches. The speakers will discuss concepts, models and theoretical perspectives that are central to the field. This may include concepts such as evolvability, constraint, homology, modularity, genotype-phenotype map, and mathematical models describing gene regulation, gene networks, development, and other determinants of the genotype-phenotype map and its links to evolution. We welcome historical/philosophical perspectives, as well as cutting-edge theory-oriented research. This symposium is designed to present the state of the art in an exciting new field, the evolution of cell types. One recent focus has been the evolution of sensory cells, from basal metazoans such as sponges or cnidarians, into major bilaterian groups such as insects, annelids, or vertebrates. Recently, there have been great advances in our understanding of how cranial sensory organs develop in vertebrates and it has become increasingly clear that these sense organs, which arose as novelties during the origin of vertebrates, are composed of evolutionarily ancient cell types. Several pioneering studies have begun to unravel the history and interrelationships of animal cell types. 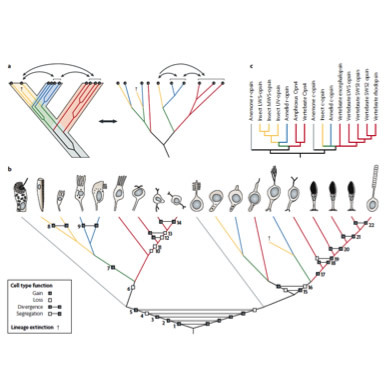 For instance, investigations into the evolution of metazoan photoreceptor cells have revealed a complex history of gene co-options as well as novel function in different animal lineages. Furthermore, new technological advances, for instance the high-throughput characterization of single cells, cell types, and tissue by RNA-Seq, and a new generation of bioinformatic tools, offer novel insight into the evolutionary history of cell type identity and function. The goal of this symposium is to highlight diverse approaches – experimentally, conceptually, and phylogenetically – for research into cell type evolution and to consider how gene regulatory networks became rewired to allow the recruitment of ancient cell types into new sense organs. Sequencing technology continues to develop at pace, and we are faced with ever increasing amounts of new sequence data as well as opportunities to test sequence-based hypotheses in new ways. It is now possible to understand developmental biology and how it has evolved to a new level of resolution; the evolution of gene networks, lineage-specific gene loses and family expansions, genome duplications, evolution of genome organisation in concert with body plan evolution, and the extent of Conserved Non-coding Sequences (CNSs) and microRNAs. 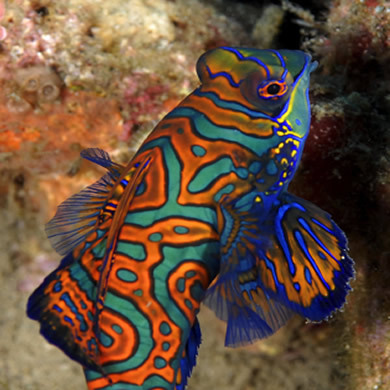 Plants and animals evolved complex patterned multicellular bodyplans independently. Clearly, there are fundamental differences between animals and plants. While plants contain cell walls that tie cells permanently to the same neighboring cells, in animal development cells are capable of moving relative to one another. Another fundamental difference is that in most animal development is limited to the embryonic life stages, while most plant development occurs postembryonically. Finally, plants are sessile and animals mobile organisms, resulting in highly different strategies of coping with environmental conditions. Together, these differences impose highly divergent selective pressures on developmental patterns and their underlying mechanisms in plants and animals. Still, in recent years discoveries have been made that suggest striking similarities between certain aspects of animal and plant developmental patterning. For instance, it was recently shown that the polar growth of the main root in plants is controlled by a similar type of degradation driven morphogen gradient mechanism as posterior growth in vertebrates. In this symposium we will focus on the evolution of developmental patterning mechanisms in animals and plants, explicitly considering their similarities and differences, and how this can be related to parallels and divergences in selection and constraints. This symposium brings together a group of people working on different aspects of the plant epidermis, from an evolutionary perspective. Patterning of the plant epidermis has been an important are of developmental genetic work for the last 20 years, and controversies surrounding the relative importance of lineage-based mechanisms and cell-cell signalling mechanisms have been resolved by careful genetic dissection. However, attention has turned only recently to the evolution of these different patterning mechanisms. Bringing a comparative approach to these problems, and making use of newly available transcriptomic and genomic data, is allowing a sudden burst of insight into the evolution of these key developmental processes. The speakers have been chosen to discuss below-ground and above-ground patterning mechanisms, vegetative and floral patterning mechanisms, and a balance between morphologically-focused and molecularly-focused approaches. In mammals the mechanisms of female reproductive biology evolve rapidly, leading to wide anatomical and physiological variation even among closely related species. This fact poses a challenge for model species based research strategies in bio-medicine where results from model species are often not transferable to humans. We think that the explicitly comparative approach of developmental evolution can help bridging the gap between humans and model organisms. In this symposium, we would like to collect a group of scientists to consider where the knowledge of evolution of developmental mechanisms can help in understanding human reproductive biology and disease and conceive of the best way to address it. One goal of a devo-evo approach is to identify broadly homologous and thus conserved mechanisms. The benefit of identifying homologous mechanisms is that results obtained on these in model organisms are more likely transferable to humans than lineage specific mechanisms. In addition we argue that the comparative study of developmental and reproductive mechanisms is able to more efficiently reveal causally relevant genes underlying specific reproductive functions than experimental approaches focused on single model species. We think it is therefore timely and relevant for the field to consider its potential contribution to the biomedical research. Over the last 20 years advances in the methodologies in phylogenetics led to a solid framework of metazoan higher relationships. 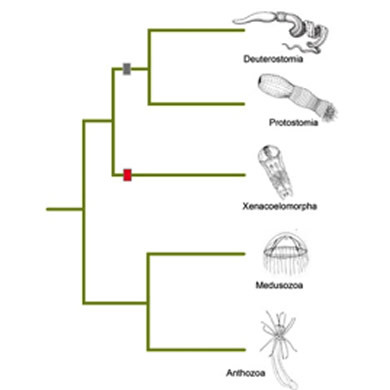 Phylogenetic trees build the backbone on which homology hypotheses can be tested and the field of EvoDevo can reconstruct better the evolutionary history of animal body plans and their underlying molecular patterning mechanisms. How informative are molecules for homologizing morphological structures? 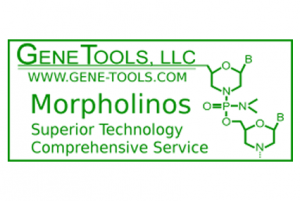 How do molecular changes relate to morphological changes (genotype – phenotype relationship)? How did the field of evo-devo change our approach to development and evolution? Inferring the phylogenetic relationships of animals have a direct impact on the answers to these questions, because we can now understand how conserved gene networks relate to the homologous or homoplasic characters. The proposed symposium will address these questions. First speaker, Gerhard Scholtz, who is expert in phylogenetic systematics and comparative developmental biology will give an introductory lecture how animal relationships impact the field of evo-devo. The following speakers will address the evolution of an animal organ system and its evolution based on this framework. The speakers are experts in morphology, phylogentics, development and evolution for each organ system. Recent work has confirmed the long-standing hypothesis that the tetrapod limb skeleton is patterned by a Turing-type reaction-diffusion system. 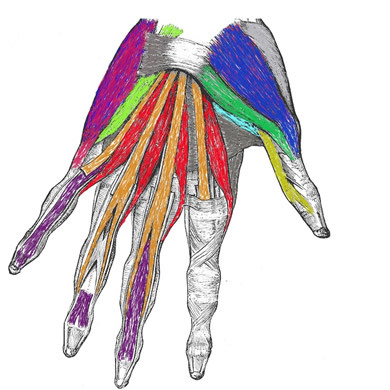 This class of developmental mechanism has implications for the understanding of pattern variations in present-day species such as polydactyly and limb reduction anomalies, as well as deeper evolutionary questions such as the fin-limb transition and dinosaur-bird digit relationships. Still unresolved are the precise identities of the molecular components of the Turing system, their origins in gnasthostome ancestors, and whether they are conserved in all modern tetrapods or have been subject to developmental system drift. Newman, would present an introduction to the reaction-diffusion framework for limb patterning and a description of the phylogenomics of key components across the gnathostomes; Cooper a model of vertebrate digit loss; Capek a model for dinosaur and avian digit identity formation; Sharpe an experimental and computational analysis of Turing processes in limb evo-devo. Epigenetic mechanisms have a fundamental role in phenotype formation. However, the role of epigenetic mechanisms in generating evolutionary novelties has only recently started to be exploited. 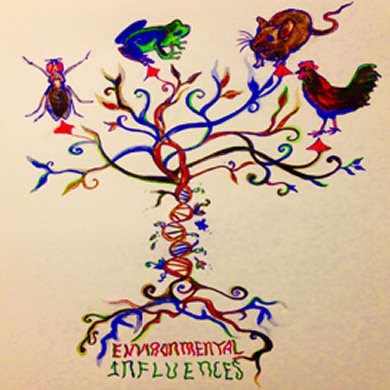 Furthermore, transgenerational epigenetic inheritance has gained increased attention due to the possibility that exposure to environmental toxicants or other stressors can induce long lasting changes in lineages of organisms. 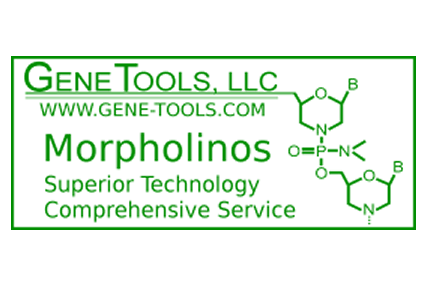 The mechanism involves exposure of the germ line to drastic environmental conditions during critical developmental periods. 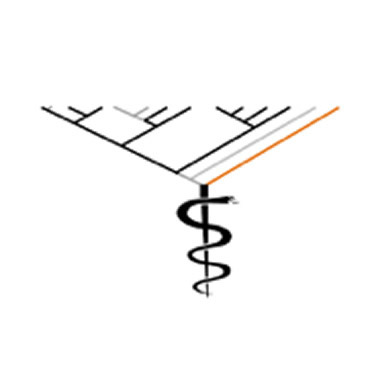 Such exposure generates germ line epigenetic alterations that can be transmitted to future generations and associate with altered phenotypes in subsequent generations. Exposures to environmental toxicants such as fungicides, pesticides or plastic compounds have been shown in rodents to produce abnormal reproductive or metabolic phenotypes that are transgenerationally transmitted. The relevance of epigenetic mechanisms in evolution is starting to be explored by researchers around the world. The main aim of the present symposium is to congregate researchers studying the role of epigenetic mechanism in generating evolutionary novelty, and in mediating environmentally induced inheritance. These researchers will present recent studies on transgenerational epigenetic inheritance in a variety of models, such as vertebrates, invertebrates and plants, and explore the theoretical implications of transgenerational epigenetic inheritance for evolutionary biology. Life cycles are a fundamental feature of an organism’s biology and the structure of the life cycle can have important consequences for the evolutionary fitness of the organism and its ability to survive in specific environmental niches. Recent years have seen considerable progress in our understanding of how life cycle transitions are regulated. These studies have also brought to light surprising similarities between the regulatory systems in evolutionarily distant organisms suggesting that at least some of the molecular components that regulate these processes have been conserved over remarkably long periods of evolutionary time. This symposium aims to bring together key players in this area working on a diversity of systems to explore the consequences of these recent advances. The symposium will associate both experimental and theoretical approaches to further our understanding of the molecular mechanisms, ultimate causes, and evolutionary consequences of life cycle evolution. 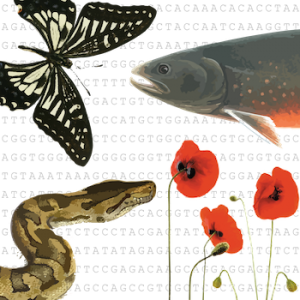 The evolution of novel traits is one of the most fascinating and still open questions in the field of Evolutionary Biology. The topic cuts across all of life and organismal form. Dissecting the origin of novel traits is picking up speed due to the recent advances in genomics and transcriptomics that are allowing sophisticated analysis of network evolution even in non-model organisms. Our symposium brings together speakers that have published recent advances in this field and are primarily experimentalists. Understanding how biological shapes are elaborated during development is a major scientific issue. A shared feature of numerous species across the tree of life is their ability to produce branched structures. Branching architecture is a key determinant of phenotypic diversity in non-motile organisms such as land plants, algae and corals. Within an organism, branching morphogenesis may be pivotal to the function of specific organs, such as the lung, kidney, mammary gland or vascular tissues. 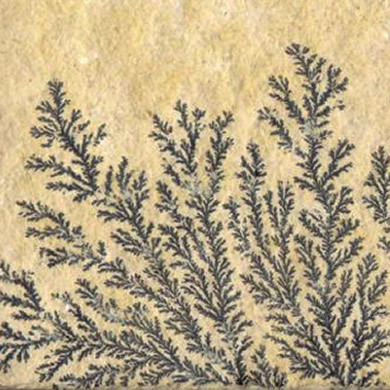 During evolution, morphological novelty may originate from modifications to branching structures, an example being the current hypothesis to explain the origin of leaves. For these reasons, branching has been studied in a broad range of organisms from a developmental and molecular standpoint, and has more recently been investigated using physics-based approaches and computational modelling tools. The proposed symposium will explore the latest advances in our understanding of branching morphogenesis at the different levels highlighted above, and in the different biological kingdoms. Phenotypic plasticity is the capacity of a genotype to produce several alternative phenotypes depending on environmental conditions. Its importance in guiding evolutionary trajectories has been evaluated very differently throughout the last decades and is still hotly debated: conceptions range from a negative impact on evolutionary rates by buffering selective forces, to a positive role in guiding an adaptive response. Old ideas such as genetic assimilation are revived in rigorous experimental settings and a very active research program currently investigates how exactly an initial phenotypic response might bring about genetic change and indeed phenotypic novelties. Our symposium addresses the long-standing question of whether phenotypic plasticity drives evolution by using skeletal elements as a test case. One of the main goals of evo-devo is to understand how the functioning of ontogenetic mechanisms results in patterns of morphological evolution, such as novelties, developmental constraints, convergence, developmental drive and evolvability. Theories regarding such evolutionary phenomena are not complete without experimental knowledge of the underlying genotype-phenotype map. Traditionally, evo-devo has a strong reliance on developmental genetics performed in model organisms. Such organisms however frequently do not poses the traits relevant to the evolutionary question under consideration. Recent advances increasingly permit to bridge the genotype-phenotype gap directly in the ‘evo-devo organisms’ themselves, while at the same time also making ‘model-organisms’ more tractable for evolutionary questions. Technological advances, including next-generation sequencing methods and functional approaches now permit to address fundamental questions of developmental biology also more precicely in evo-devo model organisms. This introduces an exciting new era in which we are able to test ideas regarding constraints, biases and evolvability by exploring the connection between genotype and phenotype in any relevant organism of choice. In this symposium, we would like to discuss a conceptual issue that lies at the heart of many central problems in evo-devo. Current scientific thinking, grounded in the tradition of Western analytical philosophy, attempts to explain many phenomena in terms of “things”, i.e. static entities. We readily accept a list of genes or a network diagram as explanation for how development works and evolves. However, these “things” do nothing on their own, in fact are not even noticeable, unless they interact with other entities. Ultimately, the only way to understand the developmental and evolutionary potential of development is in terms of dynamics. Such a process perspective can provide a richer and more accurate picture of reality. This symposium attempts to introduce evo-devo researchers to the concepts and tools of process philosophy. Rather than being a collection of independent research talks, it provides a tutorial or primer for philosophically-minded biologists. The symposium is structured as follows: Johannes Jaeger (KLI Klosterneuburg) will provide an introduction to process thinking, its questions, and its concepts. James DiFrisco (KLI Klosterneuburg) will provide a philosophical overview on process thinking. Nick Monk (University of Sheffield) will show how it can be applied to the evolution of dynamical systems. And last but not least, Berta Verd (CRG Barcelona/KLI Klosterneuburg) will present an applied example of process thinking to study the evolution of segmentation in insects. How can advances of genomics of domesticated species be used to contribute to a developmental understanding of the origin of domestication in different species and of the disparity among breeds? What are the developmental bases of the ‘domestication syndromes’ – set of correlated and repeated features across species – in animals and plants species? Can heterochrony serve to describe and even explain some of the differences between domesticates and their forebears? Talks will treat diverse subjects, using different methods and approaches. One may question how suitable domesticated species are as subjects of evo-devo research, weird experiments of artificial selection and not the result of evolution in nature with its manifold ‘natural mutants’. However, domesticated animals may offer more easily accessible subjects of study than wild species, and the possibilities of integrating information from different sources, such as population genetics, archaeology and genomics with evo-devo much larger. Serially similar structures have attracted interest since the infancy of comparative anatomy and embryology, being also at the very core of evolutionary biology since its beginning. A long-standing assumption is that the serial patterning reflects ancestral metamerism or segmentation within the clade Vertebrata. William K. Gregory was one of the most influential authors defending the existence of such an evolutionary trend from a higher degree of polyisomerism (more polyisomeric or ‘serial’ anatomical structures arranged along any body axis) to cases of anisomerism (specialization or loss of at least some original polyisomeric structures). Anisomerism was the subject of extraordinary interest during the 19th and the beginning of the 20th centuries, particularly due to the influence of the Romantic German School and the notion of ‘primitive archetype’ and because it was conceptually linked to other crucial biological issues such as complexity, scala naturae, progress, modularity or phenotypic integration. The archetype concept has subsequently influenced a wide range of prominent non-German researchers, including Richard Owen. In the last decades, data obtained from various biological disciplines, including genetics, paleontology, and particularly evolutionary developmental biology (Evo-Devo), have however refuted long-standing hypotheses – many of them almost accepted as dogmas – that envision such an archetypical vertebrate ancestor. For instance, recent studies indicate that the gnathostome jaw is not derived from a modified branchial bar and that the pectoral and pelvic appendages – including the tetrapod fore and hindlimbs – are not serial homologues. 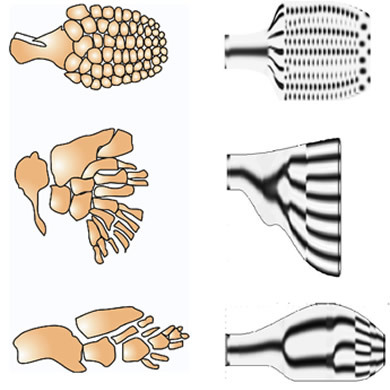 That is, according to these studies, in both the pharyngeal apparatus and paired appendages of gnathostomes, serial patterning appears to represent a derived state resulting from events leading to an homoplasic – rather than ancestral – similarity between the jaw and other branchial arches and between the pectoral and pelvic appendages. 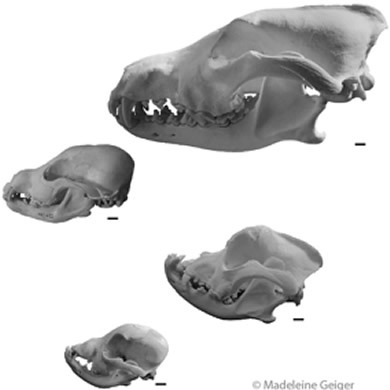 Due to these and other recent surprising findings, there has been a renewed interest on vertebrate segmentation and serial homology, with an exponential increase of the number of papers focusing on these subjects in recent years. Nevertheless, due to historical inertia and particularly to the lack of a broader, integrative and comprehensive synthesis of these subjects, the old dogmatic assumption of ancestral metamerism, and the preconceived character polarity from polyisomerism to anisomerism, often continue to be accepted by many evolutionary and developmental biologists without a deeper, encompassing scrutiny. 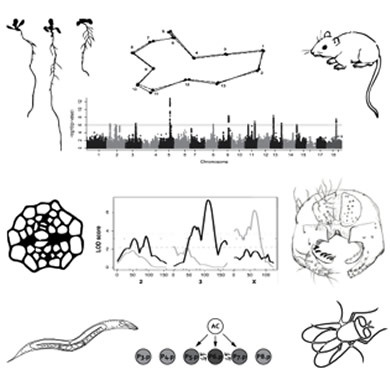 As these issues are at the core Evo-Devo, it is now time to bring together, in a symposium, top researchers representing different backgrounds and Evo-Devo sub-disciplines and, importantly, different – and in various cases opposing – perspectives on these issues, in order to provide such a needed synthesis. In recent years, an exponential progress in DNA/RNA sequencing, imaging, genome editing and other technologies has revolutionized all areas of biology—from the analysis of molecular structure to the holistic study of ecosystems and organismic interactions. One immediate consequence of such advancements is the need to integrate our conceptions about the evolution of life with data and ideas that were not even imagined a few years ago. On the other hand, major questions in evolutionary biology that were framed more than a century ago, e.g. what drives morphological change? how does evolution work at the different levels of biological complexity and how each level influences the others? remain valid and sound. 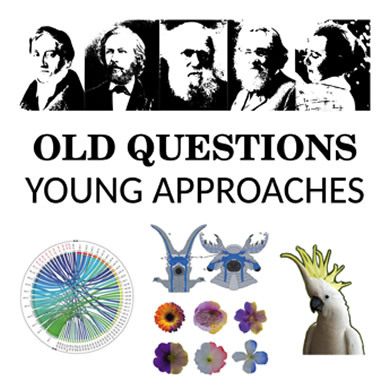 To uncover and discuss the impact of modern technologies and new data on these old but essential evolutionary questions, we bring a generation of biologists that has experienced this technical advances from the beginning and is incorporating fresh multidisciplinary approaches and concepts as an integral part of their research in molecular biology, paleontology, plant biology, developmental plasticity and evolution. Symmetry is a fundamental component of the phenotype in large living organisms such as animals and plants. Symmetry (externally) or determined asymmetry (internally) characterizes the body plan of the vast majority of metazoa. As to plants, the flower, which is the structure associated with sexual reproduction in more than 90% of land plants, is either radially or bilaterally symmetrical with no exception. This symposium is the opportunity to compare the way in which symmetry is genetically controlled during development among various organisms, and possibly how selection acts on the resulting phenotype. Proposed speakers include Giuseppe Fusco (University of Padova), who works on fluctuating and translational asymmetry in millipede, Angus Davison (University of Nottingham) who uses snails to understand left-right symmetry during development, Jinshun Zhong and Catherine Damerval whose interests lie into how floral bilateral symmetry is determined in selected families of flowering plants. Early embryos of certain animal species are capable of adapting their development to circumstances altered by experimental manipulations, such as blastomere separation, ligature and tissue grafting. Due to this regulative capacity of early embryos, one can experimentally induce formation of twins or double axis embryos. 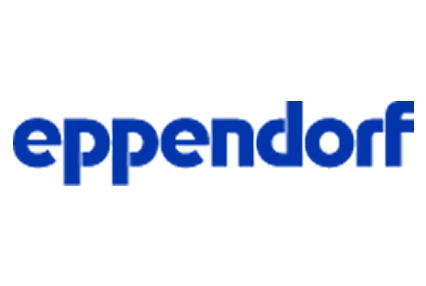 Although the Spemann-Mangold’s organizer grafting with amphibian embryos is well-known, Uppsala is the honorable place where Holm, a venerable developmental biologist, successfully induced axis duplication by a similar strategy using spider embryos in 1950’s. This work is recognized as an earliest effort of “experimental” Evo-Devo. To express respect to Holm, this symposium focuses on ongoing efforts in different metazoan models to understand the mechanisms and principles underlying the regulative capacity of early embryos and axis formation. Such efforts have started to incorporate genomics, imaging and quantitative analysis, and systems and theoretical biology. 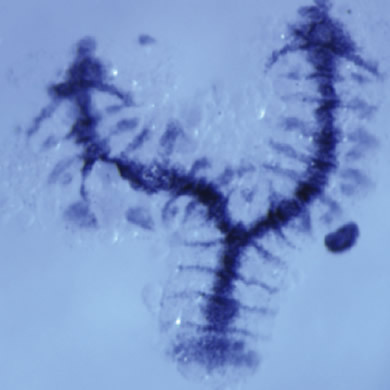 The central aim of this symposium is to discuss the mechanisms of self-regulation or self-organization in axis formation of early embryos, and their evolutionary origins. One major aim of biological research is to describe the breathtaking diversity on earth and to understand the processes involved in its origin. Adult morphology is defined during embryonic and postembryonic development, and morphological diversification is likely to be a result of changes in developmental programs. 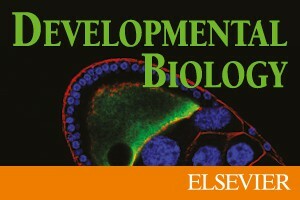 Since its emergence, evolutionary developmental biology (evo-devo) has revealed that some of the major body plan changes between living organisms are correlated with spatial and temporal differences in the expression patterns of developmental genes, therefore providing important insights into the developmental basis of biological diversity. However, most evo-devo focuses on large-scale morphological differences that occurred over long-term evolution, where the accumulation of numerous molecular changes between highly diverged species hampers the identification of the causative molecular changes underlying morphological evolution. In contrast, by focusing on intraspecific variation or differences between very closely related species, microevolution of development (micro-evo-devo) can take advantage of population and quantitative genetics, in addition to evolutionary developmental genetics, to identify the causes and consequences of natural variation in morphology. Strikingly, micro-evo-devo studies represent only a small fraction of evo-devo research. In order to change this scenario, we propose to organize a symposium to expose and discuss the need for more micro-evo-devo research, with invited speakers selected based on their recent contribution to the advancement of this field. 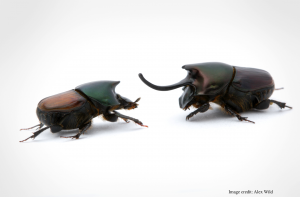 Studies of evolution at the gene and genome level have used comparisons of extant species to generate hypotheses for ancient evolutionary mechanisms acting at the molecular level. More recently, resurrection of ancestral genes and genomes is being used as a novel strategy to study these evolutionary transitions directly. While uncertainty is associated with inferred ancestral genes and genomes, their in silico, in vitro and in vivo characterisation is generating many novel insights that draw from the power of direct observation of ancestral states. In this symposium we want to highlight recent studies in this relatively new field in plant evo-devo through ancestral genome investigation.